First contact resolution (FCR) is a measure of efficiency and effectiveness of your customer support team efforts. Among all success metrics it is considered one of the most important key performance criteria providing you an overall measure of how well your operators, teams and call centers are performing. By focusing on improving FCR, you will increase the quality of interactions within your team, reduce costs and increase customer satisfaction. So how to improve on this critical performance metric? According to a study by The Ascent Group, improvement in FCR is most closely tied to process improvement and streamlining, improved awareness and communication of FCR results, and root cause analysis. In this article I’d like to share some simple tips on how to increase your support team FCR. Today customer service representatives mostly handle communication through three main channels (email, phone and Live Chat). As different communication channels have different patterns of behavior, I would suggest a few areas to focus on for each of them. The challenge faced by support agents when handling email requests is all about need for more information. As a rule, information provided in initial customer email is not enough to resolve the issue through a single email message, so in most cases they have to get back to customers with request for additional details like account name, order number, etc. Nonetheless, if support representatives manage to respond timely to get the information missing and close the thread within less than an hour, without customer having to wait long or switch to other channels, it can be considered as a successful interaction. Gone are the days when long winded sentences containing extraneous information and irrelevant facts were perceived as great respect and admiration. Today’s main email etiquette rule is “use as few words as possible”. In order to make sure you do not sound as a voice of impersonal technology, get rid of cliches or officialese. The less information the customer has to look through the better. Not sure what kind of problem the customer encountered? Why not anticipate most probable causes of the issue and suggest solutions for them? For instance, if a customer states in her message that she could not access her account, the support representative can assume that the customer either does not remember her password, or forgot the account name, or no longer has access to the email associated with the account. So the response to the initial email should include step-by-step instructions on what to do in each case. Remember that you still have to keep it short and simple, today people are far less likely to read your email messages if they’re too long or complicated. So I recommend that you use links to videos or how-to’s articles on your website to refer the customer to more details on each possible option. Phone conversation lacks wealth of body language and eye contact that you get face to face. You need to make up for this by verbally recognizing what a customer is saying. In fact, according to a Harvard study 24% of repeated calls is related to emotional disconnects between operators and customers – situations in which, for instance, the customer didn’t trust the rep’s information or didn’t like the answer given and had the impression that the rep was just hiding behind general company policy. So, just by paying more attention to the customer’s communication style, you can react in a way that will not only resonate better with the customer, but will also minimize the number of repeat calls by the customer. The customer can’t see you, so make sure to fill them in on what you’re doing to help them. Don’t make them wait sitting in silence or listening to a bunch of keys rattle off and wonder whether they have been forgotten. Be sure to tell your customer what exactly you’re doing so they know you’re making progress towards a solution. If you take this extra step, your caller will appreciate your effort and will be more patient while you work. One of the best ways to improve FCR is to have the representatives ask ‘Have I resolved your issue today?’ or ‘Do you agree that your issue is now closed?’ This lets the customer say if they aren’t happy with the representative’s service. And this way the rep has an opportunity to suggest an alternative solution, or a work-around before closing the call. In most cases when a website visitor calls your Live Chat you have them on your website. So you can easily use the real-time monitoring feature to analyze the customer’s profile as soon as they jump into a chat and find out almost everything about them in a second’s glance – the location, browser type, operating system, membership details, etc. It gives you a much broader understanding of the customer and the right angle to look at their problem. With all this additional information at hand you will often know the exact cause of the problem and a solution to it before the customer gives you any details. In case there are any security warnings or compatibility issues that result in incorrect display of your website pages on visitor’s end, in Live Chat you can always ask the visitor to take a snapshot of what they can see and share it with you through the file-transfer feature. There are a bunch of other features to help your customers effectively in case of any problem or confusion, such as co-browser which allows the agent to peek at the page the customer is browsing to understand the issue and help to address it faster; or ‘page push’ which saves a lot of time on explanations and can considerably decrease the problem resolution time. What a customer really wants is to be talking to the person who can solve their problem in the first place. Nobody likes to be put on hold, or have to wait for a call-back or e-mail update. Giving your reps the power to make their own decisions will make your customers far more satisfied. But how would you go if your reps still lack some knowledge, access or authority? 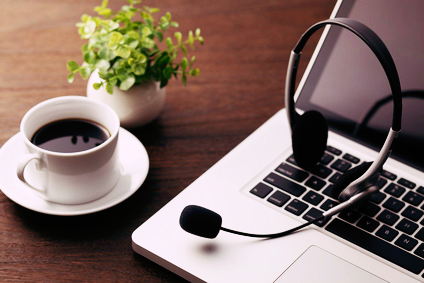 With Live Chat you get two indispensable options – to invite other members of your support team to join chat conversation and, when needed, chat with your colleagues internally while being on chat with a customer. In the first case, the conversation is simply being continued with no need for the customer to go through the whole story again. In the second, the customer might not even notice that you get in touch with someone else for advice or help. These two features work wonders in terms of improving FCR and avoiding escalation or repeat calls. Would any of the above tips help you support your customers more effectively? I hope you’ve discovered something new and learned how to better serve your customers. If you have anything to add, I would be glad to hear from you, so please share your experience through the comments section. This entry was posted in Articles, Tips and Tricks and tagged FCR, first contact resolution. Bookmark the permalink. MetricNet’s research has shown that the single biggest driver of customer satisfaction – by far – is FCR! And the biggest driver of FCR is Agent Training hours. Nine times out of ten when customer satisfaction needs to improve, this can be achieved by increasing the FCR. This is why world-class call centers pay so much attention to this metric. They engage in a variety of tactics to continuously improve FCR, including agent training, investments in knowledge bases, and agent incentives tied to improvements in FCR.